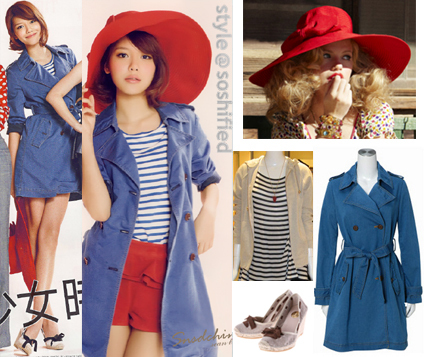 Soshified Styling To b. by agnes b. Tagged: To b. by agnes b. POSTED IN Accessories, Coats, Footwear, Hats, Outerwear, Sooyoung, T-Shirts, Tops, Wedges | TAGGED: Debbie by Free's Shop, JILL by Jill Stuart, Ras, To b. by agnes b.